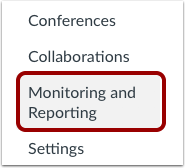 If your institution is using Banner as a Student Information System (SIS), you can use the Gradebook to pass final grades back to Banner. Banner must be preconfigured for your account to use this feature. Additionally, a course grading scheme must be enabled to publish letter grades. When grades are sent, Canvas will immediately initiate the grades transfer, but you may need to wait a few minutes before data appears in Banner. Grades can be re-published with new grade values to Banner until the grades are rolled. Note: If the Publish Grades to SIS option is not available to you, please contact your Canvas administrator. 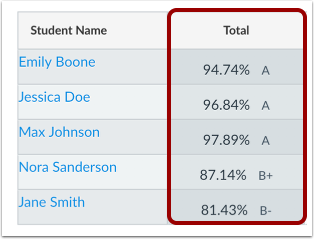 Ensure letter grades are correct in the Gradebook Total column by reviewing all assignments and grades in the Gradebook before exporting. Canvas will publish the Final Grade to Banner, meaning any ungraded assignments with a point value will be calculated as zero. The Gradebook does not display a Final Grade column. If you want to confirm grades in the CSV file, click the Export link . After opening the CSV file, double check the Final Grade column . If the Final Grade is inaccurate, review the Gradebook for ungraded assignments or missing grades and repeat the previous steps. 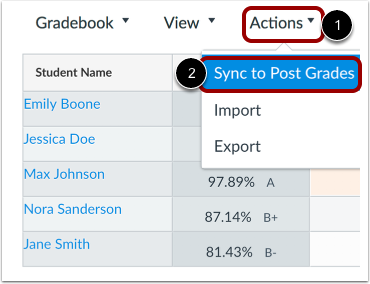 Click the Actions menu  and select the Sync to Post Grades link . In the Course Settings Grade Syncing tab, click the Sync grades to SIS button. 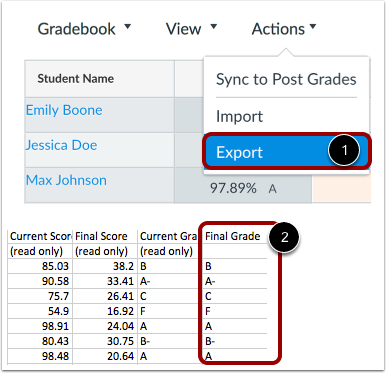 When grades are synced, Canvas will immediately initiate the grades transfer, but you may need to wait a few minutes before data appears in Banner. Once you receive the confirmation email, verify students received the correct grade. View the status of the sync request. In the search field , you can search for a specific sync request. You can also filter by status. By default, the Everything status is selected, which displays all sync results in the page . 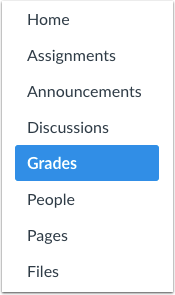 Previous Topic:How do I export grades in the New Gradebook? Next Topic:How do I sync grades to PowerTeacher Pro in PowerSchool in the New Gradebook? Table of Contents > New Gradebook > How do I sync grades to Banner in the New Gradebook?